Who is Bruce Davidson, and why is he so important? Davidson was and still is a famous photographer born in 1933 who started his life-long love affair with photography at age 10 when he mom made a darkroom for him. Over the years he honed his skill, eventually joining Magnum photos where he still is today. As can be expected, he has taken many photographs and series’ over the years, but the photographs that he took that are the most interesting to me happened in the summer of 1959. In my opinion 1959 was one of the glory years’ (if that word can be ascribed to fighting gangs) of youth gangs in New York City. Bruce Davidson, a young man looking for new people to photograph, heard about a series of gang rumbles in the Prospect Park area and got in touch with a New York City Youth board worker who introduced him to a violent, unpredictable gang from that area called the Jokers. Here is the book cover of Brooklyn Gang which is no longer in print but can still be bought for $400. 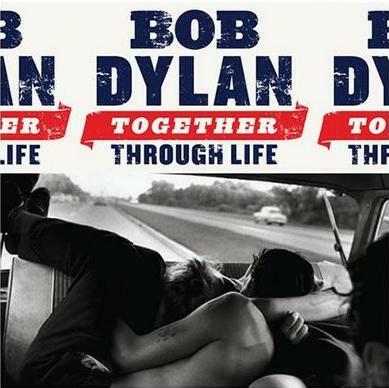 Davidson’s photos of the Jokers are still famous, in fact Bob Dylan used one of the photos for the cover art of his 2009 album Together for Life (see below). Click here for the struggles of Richard Quinton, a member of the Jokers in the early 1950s.